Fruiting body erect, slender, cylindrical strands, usually unbranched, 1.0-1.5 cm tall, approximately 1 mm thick at the base, tapered to a narrow, obtuse tip, single or several fused to a common base; surface more or less glabrous, viscid when moist, yellow to yellow-orange; context stiff-gelatinous; odor and taste mild. Spores 7.5-9.5 x 3-4 µm, sausage-shaped, smooth; spore print not seen. Gregarious to clustered on rotting coniferous wood; fruiting from early to mid-winter. Because of its erect fruiting body, inexperienced mushroom hunters often confuse this jelly fungus with a small coral, e.g. 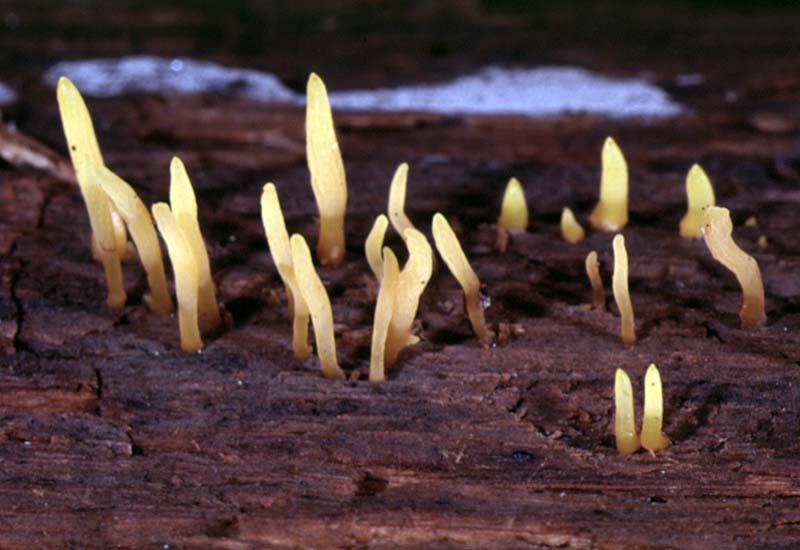 Clavulinopsis laeticolor and/or C. fusiformis. These closely resemble Calocera cornea but can be told apart by a more brittle texture, and habitat preference-- on duff, rarely on wood. 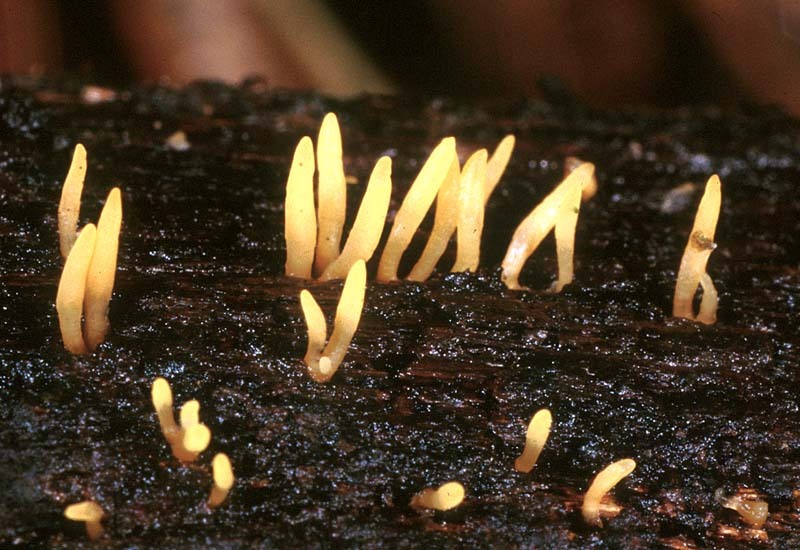 Like many jelly fungi, Calocera cornea is capable of rehydrating to its original form after drying. 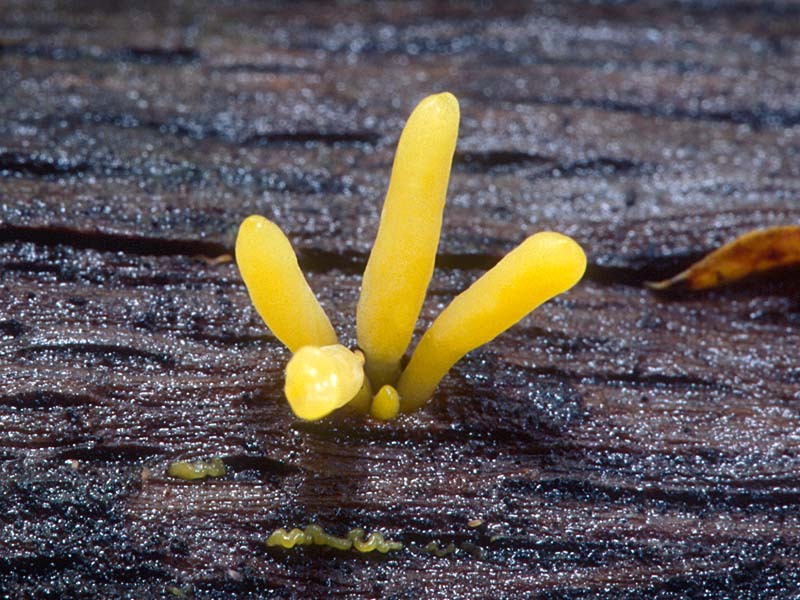 A related, larger, multi-branched species also found in our area is Calocera viscosa. 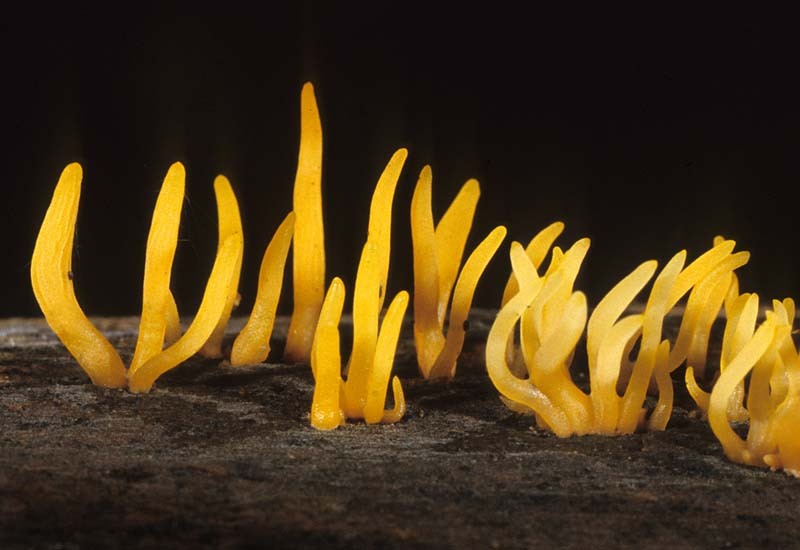 It too has a coral look-alike: Clavulinopsis corniculata. McNabb, R.F.R. (1965). Taxonomic Studies in the Dacrymycetaceae II. Calocera (Fries) Fries. New Zeal. Journ. Bot. 3: 31-58.